The SEC requires hedge funds and wealthy investors with over a certain portfolio size to file a report that shows their positions at the end of every quarter. Even though it isn’t the intention, these filings level the playing field for ordinary investors. The latest round of 13F filings discloses the funds’ positions on September 30. We at Insider Monkey have compiled an extensive database of more than 700 of those successful funds and prominent investors’ filings. 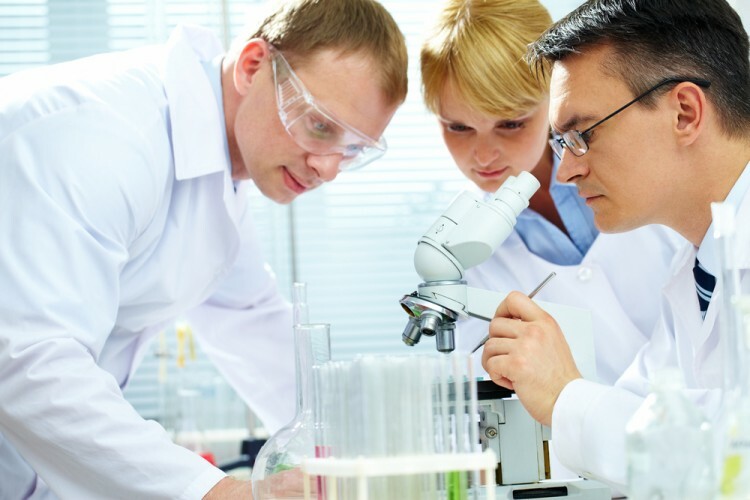 In this article, we analyze how these successful funds and prominent investors traded Ashland Global Holdings Inc. (NYSE:ASH) based on those filings. Is Ashland Global Holdings Inc. (NYSE:ASH) a buy, sell, or hold? The smart money is unmistakably buying. The number of bullish hedge fund bets went up by 4 in recent months. ASH was in 30 hedge funds’ portfolios at the end of September. 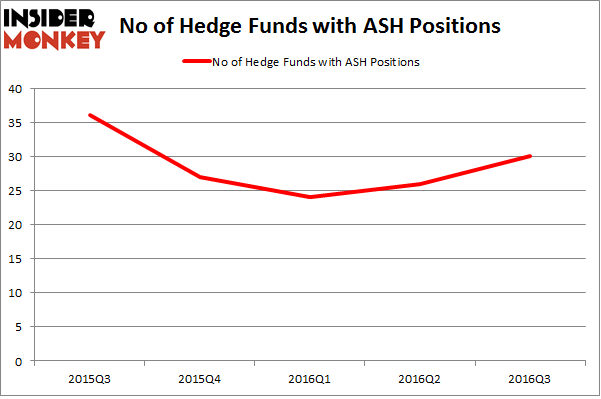 There were 26 hedge funds in our database with ASH positions at the end of the previous quarter. At the end of this article we will also compare ASH to other stocks including STMicroelectronics N.V. (ADR) (NYSE:STM), Apollo Global Management LLC (NYSE:APO), and Apartment Investment and Management Co. (NYSE:AIV) to get a better sense of its popularity. Now, let’s take a glance at the latest action regarding Ashland Global Holdings Inc. (NYSE:ASH). How have hedges been trading Ashland Global Holdings Inc. (NYSE:ASH)? At Q3’s end, a total of 30 of the hedge funds tracked by Insider Monkey were bullish on this stock, a boost of 15% from one quarter earlier. The graph below displays the number of hedge funds with bullish position in ASH over the last 5 quarters. With the smart money’s positions undergoing their usual ebb and flow, there exists a select group of notable hedge fund managers who were upping their stakes significantly (or already accumulated large positions). According to Insider Monkey’s hedge fund database, Daniel S. Och’s OZ Management has the most valuable position in Ashland Inc. (NYSE:ASH), worth close to $118.1 million, amounting to 0.7% of its total 13F portfolio. Coming in second is Luminus Management, led by Jonathan Barrett and Paul Segal, which holds an $88.4 million position; the fund has 2.3% of its 13F portfolio invested in the stock. Some other hedge funds and institutional investors that hold long positions include James Crichton’s Hitchwood Capital Management, Leon Cooperman’s Omega Advisors and Pasco Alfaro / Richard Tumure’s Miura Global Management. We should note that Luminus Management is among our list of the 100 best performing hedge funds which is based on the performance of their 13F long positions in non-microcap stocks.